Here at our office we offer state of the art Invisalign® and Invisalign Teen™. 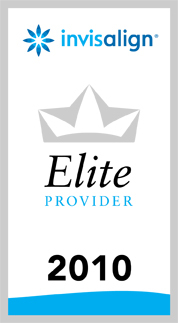 Why choose us for treatment? - Dr. Gwen is an Elite Invisalign Provider and is certified to provide Invisalign braces to patients seeking a virtually invisable and unnoticeable option for straightening their teeth. - Affordable & effective treatment! A smile says a lot. It is an investment that provides a lifetime of both aesthetic & health benefits. Our office provides affordable payment options to fit your personal financial needs. -Sometimes options are available. We are always interested in presenting the best possible treatment plan for you or your child. Patients and parents should be involved in decisions about their orthodontic care. -Delightful and highly-trained staff. Every year Dr. Gwen and her staff take continuing education courses to keep up with their skills. We work as a team to provide personalized and thorough treatment to help you obtain a healthy, straight, and beautiful smile you can be proud of. - Advanced Technology. Dr.Gwen uses up to date technology that produces better results with fewer visits and shortened treatment times. Our treatment options include Invisalign® and Invisalign Teen™, Orthocad® and IMS technology. Invisalign® and Invisalign Teen™ are the latest in invisible braces. They are comfortable and removable, and a popular choice for adults and teens who are concerned about the appearance of braces during routine daily activities. Dr. Gwen takes molds of the patients teeth and sends them to Orthocad® so she can study the digital models before the braces go on and plans a teatment plan that uniquely fits your needs. 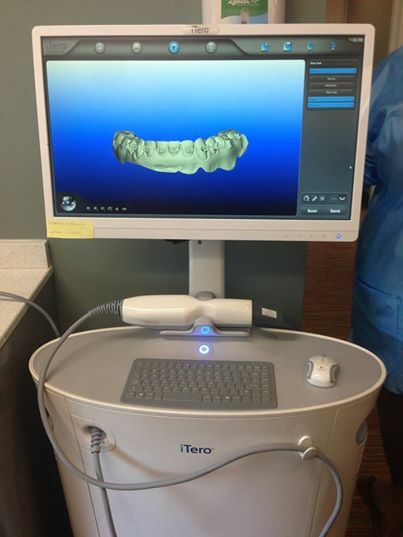 This machine digitally scans your teeth into the computer and from there we can either make your Invisaligners, or any other appliances - retainers, expanders, mouthguards ! No more taking those messy, gross molds ! Complimentary consults for Invisalign® and Invisalign Teen™ so call and book your appointment today! Check out our pages to learn more about the two different Invisalign treatments.